Recent discussions on the properties of football turf have highlighted the very negative view professional football has of artificial turf. This is not a UK only phenomenon. 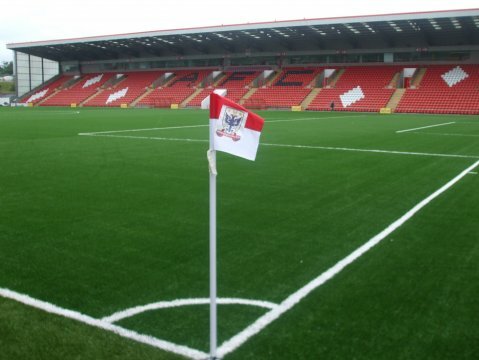 Scotland is unique in the world of professional football in having Airdrie, Annan, Stenhousemuir, Montrose, Alloa, Stranraer, East Fife and Clyde professional clubs using artificial turf for their main stadium pitches. All these fields must be maintained at FIFA 2 star level- a stringent set of standards which regulate the performance of the surface. A few points on this- there is no pitch standard for natural pitches for professional football. Natural pitches vary a great deal due to seasonal variations; artificial pitches do not show such variation through the season. FIFA’s Quality Concept for football turf was conceived to in as few as is possible make football turf (artificial turf) as ‘like’ natural pitches as possible. It is a fact that all studies to date whether; ball, surface/ player, surface, fatigue, bio-mechanical have ‘strongly’ indicated that there is actually little difference to the player playing on artificial turf as opposed to natural turf. Why? There’s the punch line humans ‘adapt’ very quickly to environmental factors. The revolutionary concept has clearly to get through to the club managers, pundits and indeed some players. Fact is, for many reasons artificial turf is here to stay and as the generation of negativity die off then young players who are already training/ playing on these surfaces will become the managers and pundits of the future. Interestingly in a two week period of Scottish Football you have Rangers blaming the artificial turf at Annan for injuring a key player. Then Celtic beating Spartac Moscow at their home ground Luzhniki Stadium. Where was the home advantage there? In the Rnagers incident clearly the player was 'crocked' by an opposing player and the surface had nothing to do with it.